Manage your tools smarter with asset tagging. Anyone who’s worked in an industrial setting knows the unique frustration of needing a tool, knowing that your facility has it, but not finding it anywhere. Tools get around—they can go from the production floor to storage, then get taken to the processing room, maybe make their way to the office three towns over, or maybe they’ll just disappear. Asset tagging allows workers to find the instruments they need quickly so they can spend their time doing good work. Asset tagging uses codes to manage and find tools. Using barcodes, QR codes, and RFID tags, asset tagging ensures that you’ll keep be able to find what you need, when you need it. Tips and tricks for implementing tagging/labeling programs in your facility. Building an asset tagging program can be cumbersome and laborious, but with LabelSuite™, the intuitive, free label-making software that comes with every LabelTac® printer, that job is easy and hassle-free. The software allows you to import .CSV files so you avoid having to manually input information for each label. Simply load your Excel sheet and print. It’s as simple as that. Building any tracking system seems like a tall order, but with the help of the LabelTac® family of printers, this job is a breeze. 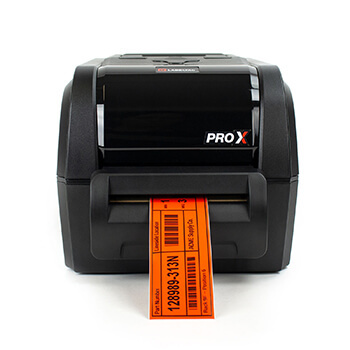 Printing in-house means you don’t have to waste time and money fulfilling label mandatory minimum orders, and thanks to LabelSuite™ software, which comes included with each printer, you’ll be able to build barcodes quickly. 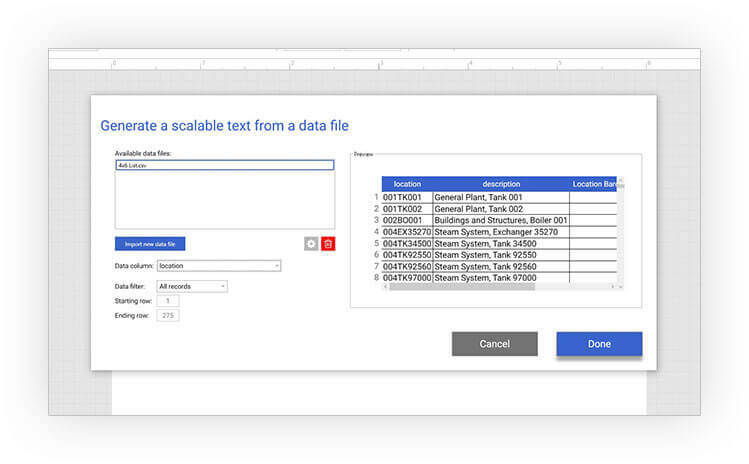 This labeling software even allows easy import from .CSV databases, which makes building an asset tagging system even easier. Make sure the best tool for the job is where you need it when you need it. Lost time is one of the wastes of Lean, and this guide outlines exactly how to get organized and stay organized.